This Irish golf gift is a set of tees with shamrocks. Great Item for Your Next Golf Tournament! 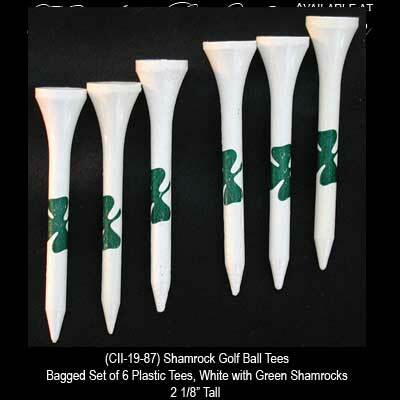 These shamrock golf tees are made of white plastic with printed green shamrocks. The Irish golf tees stand 2 1/8" tall and a set of six are bagged with a shamrock history card that is complements of The Irish Gift House.